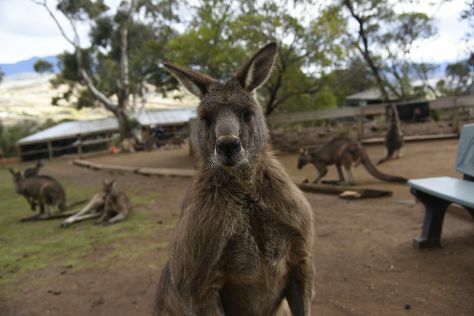 Venture out of the city with trips to Bonorong Wildlife Sanctuary (in Brighton), Port Arthur (Three Capes Track & Port Arthur Historic Site) and Tahune Forest AirWalk (in Geeveston). On the 24th (Sun), give your taste buds a day to remember with a local gastronomic tour. The adventure continues: take your sightseeing to a higher altitude at Mount Wellington, head off the coast to Maria Island National Park, get a taste of the local shopping with Salamanca Market, and see the interesting displays at Mona. To find traveler tips, ratings, more things to do, and more tourist information, read our Hobart trip builder website . Perth to Hobart is an approximately 7.5-hour flight. You can also do a combination of train, ferry, and bus. The time zone changes from Australian Western Standard Time to Australian Eastern Standard Time (Tasmania), which is usually a 2 hour difference. Plan for a bit cooler temperatures traveling from Perth in March, with highs in Hobart at 25°C and lows at 13°C. Wrap up your sightseeing on the 24th (Sun) to allow time to drive to Launceston. You'll find plenty of places to visit near Launceston: Beauty Point (Seahorse World & Platypus House), Woolmers Estate (in Longford) and Goaty Hill Wines (in Kayena). 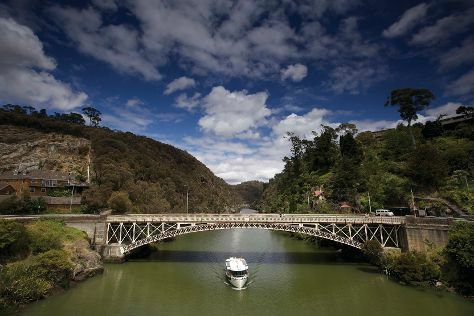 The adventure continues: identify plant and animal life at Cataract Gorge Reserve, do a tasting at Holm Oak Vineyards, steep yourself in history at Entally Estate, and explore the activities along Tamar River. To find traveler tips, ratings, other places to visit, and more tourist information, read our Launceston trip itinerary tool . You can drive from Hobart to Launceston in 2.5 hours. Alternatively, you can take a bus. Expect a daytime high around 26°C in March, and nighttime lows around 11°C. Finish up your sightseeing early on the 28th (Thu) so you can go by car to Strahan. Change things up with these side-trips from Strahan: West Coast Heritage Centre, Zeehan (in Zeehan), Queenstown (Nelson Falls, Spion Kopf Lookout, & more) and Frenchmans Cap (in Derwent Bridge). And it doesn't end there: take in the dramatic scenery at Hogarth Falls, see the interesting displays at Morrisons Huon Pine Sawmill, and stop by Wilderness Woodworks. To find photos, more things to do, and tourist information, read our Strahan road trip planner . You can drive from Launceston to Strahan in 4 hours. Another option is to take a bus. Finish your sightseeing early on the 31st (Sun) to allow enough time to travel to Arthur River. On the 1st (Mon), take a memorable drive along The Tarkine Drive, identify plant and animal life at Arthur-Pieman Conservation Area, and then don't miss a visit to Edge of the World. To see maps, more things to do, where to stay, and other tourist information, go to the Arthur River online travel route planner . You can drive from Strahan to Arthur River in 4.5 hours. Finish your sightseeing early on the 1st (Mon) so you can travel to Wynyard. Wynyard is a rural town on the north-west coast of Tasmania, Australia, about 17km west of Burnie. 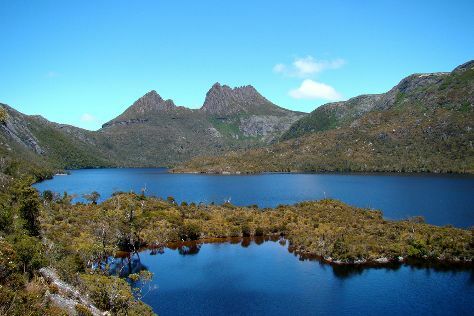 Explore the numerous day-trip ideas around Wynyard: Stanley (Highfield Historic Site, Providore 24, & more), Cradle Mountain-Lake St. Clair National Park (Devils @ Cradle, Dove Lake Circuit, & more) and Leven Valley Vineyard (in Gunns Plains). And it doesn't end there: cruise along Boat Harbour Beach, make a trip to Cormorant Bay Recreational Reserve, explore the activities along Lobster Ponds, and take in the dramatic natural features at Fossil Bluff. To see more things to do, where to stay, traveler tips, and tourist information, you can read our Wynyard trip planner. Traveling by car from Arthur River to Wynyard takes 2 hours. In April, plan for daily highs up to 20°C, and evening lows to 5°C. Wrap up your sightseeing on the 5th (Fri) to allow time to travel back home.